Sign-up using this form or call us at (208) 354-2212 to make an appointment today! Conveniently located in the heart of Teton Valley, the Driggs Veterinary Clinic has been taking care of the large, small and exotic animals in the communities of Driggs, Tetonia and Victor, Idaho as well as Alta and South Leigh, Wyoming for close to 40 years. Our doctors are licensed in both Idaho and Wyoming and are available to take care of your pet’s routine needs either at our clinic or at your home, farm or ranch. We also are available for after hour’s and emergency services. The mission at the Driggs Veterinary Clinic is to provide quality health services, to have a responsive and professional staff, emphasize individual attention to your pets as well as your needs and to be committed to our community. Our caring, compassionate and professional staff will assist you with your pet food needs, prescriptions, scheduling appointments and any other questions you might have regarding your pet’s health and well being. We have a number of resources on our web site where you can learn about how to take better care of your pets. We also subscribe to ePetHealth so your pet's medical records and vaccination history are just a second away, all day. You can enroll in this service by going to ePetHealth. It's free and easy to sign up plus you can download a Mobile apps for your iPhone or Android phone. The best veterinary care for animals is ongoing nutrition and problem prevention. If you want to ask a question call (208) 354-2212 or email us and we'll promptly get back to you. Our Driggs office is very easy to get to, and you can find directions on our Contact Us page. You can also subscribe to our newsletter which is created especially for Driggs pet owners. In between your veterinary visits, your pet will benefit from you reading these free informative articles. 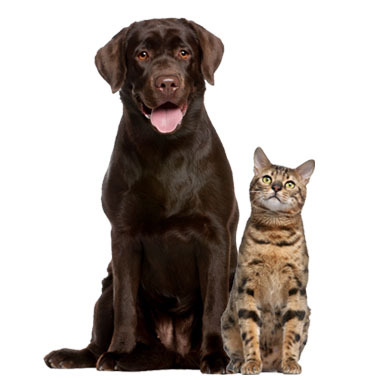 At Driggs Veterinary Clinic, we treat your pets like the valued family members they are. After receiving a Masters in Microbiology from the University of Wyoming, Dr. Don Betts graduated from Colorado State University in 1983 with a Doctorate in Veterinary Medicine. He moved to Teton Valley, Idaho with his wife, Jan, in 1985 when they purchased the Driggs Veterinary Clinic. Laura VanLeuven began her career in the veterinary field by working at various Idaho Falls veterinary clinics in 1989. In 2002, Laura took the National Board examination to become a Certified Veterinary Technician. Laura has been working at the Driggs Veterinary Clinic since May of 2003. Driggs Veterinary Clinic is proud to serve the Driggs ID area for everything pet related. Our veterinary clinic and animal hospital is run by Dr. Donald Betts, who is a licensed, experienced Driggs veterinarian. "Staff very friendly & helpful. As an out-of-state visitor, I receivd the same high quality of service that a regular, long-standing client would. Doctor has a great "bedside manner" and showed interest and caring for my dog. Would definitely recommend him and the clinic." "Everyone is welcoming and sincere when we call on the phone or walk through the door. Very much appreciated!" "Staff very friendly & helpful. As an out-of-state visitor, I received the same high quality of service that a regular, long-standing client would. Doctor has great "bedside manner" and showed interest and caring for my dog. Would definitely recommend him and the clinic." "Everyone is welcoming and sincere when we call on the phone or walk through the door. Very much appreciated! Our first visit with Dr. Sarah was great! She was friendly and caring towards pets and humans." "Great job!!! Every time I visit the staff is great."